Chile came back from 1-2 against Austria, and managed to qualify for the tournament's finals. Massú was the brain, Garín and Jarry the heroes of the exciting day. 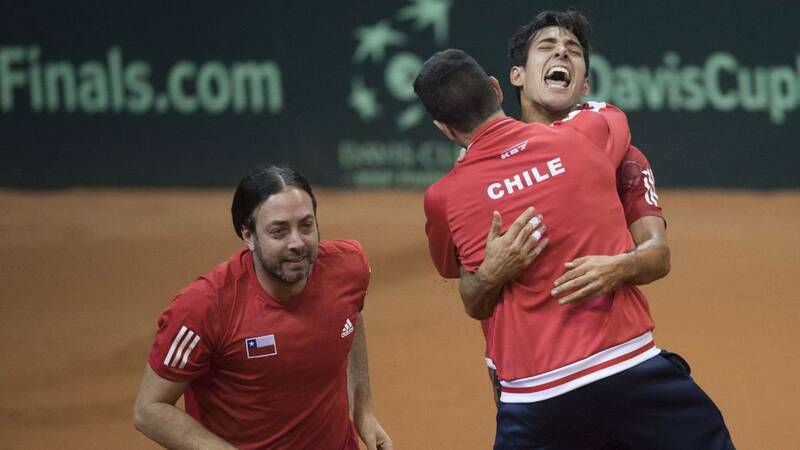 The exciting hug on the clay court of the Salzburg Arena between Christian Garín and the team captain, Nicolás Massú, crowned a historic victory of Chile in Austria for Davis Cup. The image summarizes the long road of the South American country to return to the elite of the world tennis after eight years. Minutes before Garín, Junior champion of Roland Garros in 2013, sealed the series by 3-2 in favor of Chile, and confirmed a comeback that started Nicolás Jarry in the fourth point. It could not be otherwise. Both have led the renewal of Chilean tennis after the vacuum that led to the retirement of a golden generation composed by Marcelo Ríos, Fernando González and Massú himself, and today celebrate their first great achievement. Y is that the result of Chile in Salzburg it is more than a simple victory. It is the re-believing for a country where tennis is the most successful sport, and has delivered throughout history two Olympic gold medals, a world number one, a Davis Cup final, and two titles in the Cup of the World of Dusseldorf. "It's the happiest day since I've been a coach," enthused Captain Massú, double gold medalist in Athens 2004 and mastermind behind the new Chilean litter. "We started with boys who were 16 years old, in 2014 we were in third division, and today we are part of the 18 best teams in the world" , valued, visibly moved. Jo Marcelo Ríos was also there. "This is the achievement I never had in my career", he acknowledged the first South American to be number one in the world in 1998. For his part, Garín, the hero of the day was relieved. "I had my revenge. This is the most important triumph of my career. I am very excited because it has cost me, but the most important thing is that we are going to Madrid ".